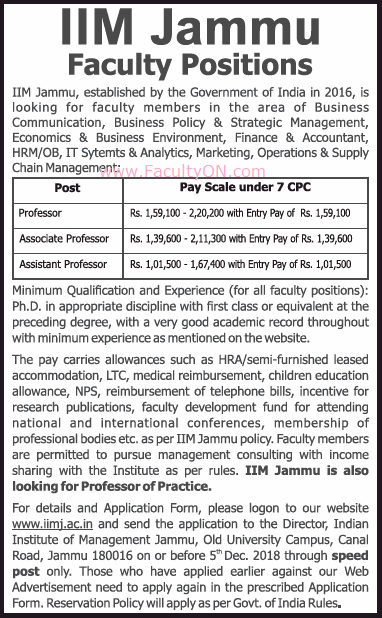 Indian Institute of Management, Jammu has advertised in THE TIMES OF INDIA newspaper for recruitment of Teaching Faculty- Professor / Associate Professor / Assistant Professor jobs vacancies. Interested and eligible job aspirants are requested to apply on or before 05th December 2018. Check out further more details below. About College: Indian Institute of Management Jammu is a public, autonomous business school located in Jammu, Jammu & Kashmir, India. Established in 2016, it is, as of 2017, the latest Indian Institute of Management to be established. It is being mentored by Indian Institute of Management Lucknow. 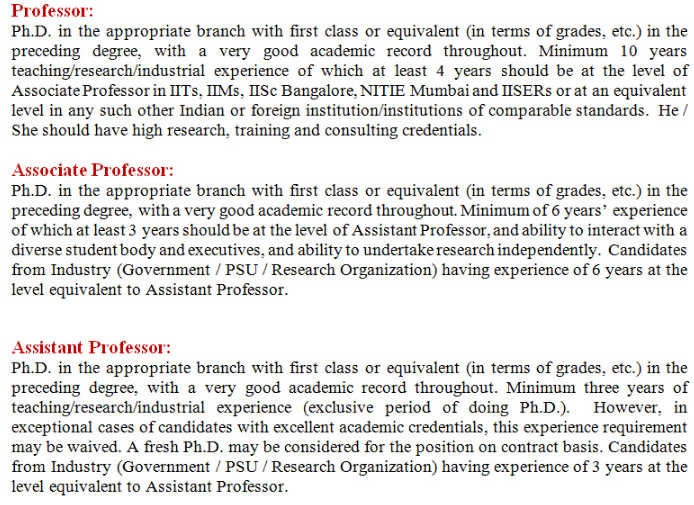 How to Apply: Interested candidates are requested to apply to the following postal address provided below. Download the application format from official website which is also given below.